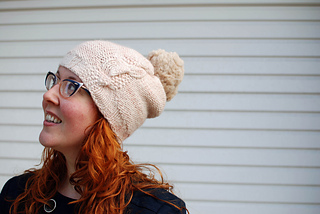 This hat pattern is part of The Tea Collection – a series of hats celebrating tea and knitting by Clare Devine. 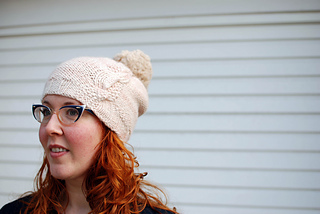 You can purchase the ebook (containing eleven hats, with two bonus cowl patterns) HERE. You are cordially invited to join us for the (virtual) Tea Party KAL, a celebration of tea, knitting and great company in the spirit of #knitsharelove. For more details pop over to the Ravelry group. I love nothing more than to curl up with a cup of hot chai, it warms my heart and soul, making me blissfully happy. 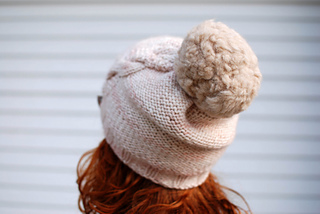 This hat captures the relaxing and comforting sense that chai tea gives me, a warm hug of softness with a touch of spice. 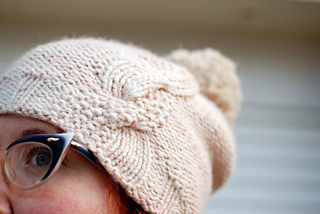 Gorgeously warm Alpaca and a chunky cable, what’s not to love? 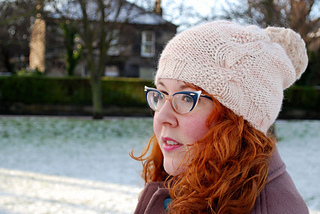 Cleverly knitted inside out, to minimise purling this pretty hat knits up in no time. Available in three sizes. The tea: Masala Chai is traditionally brewed with black tea leaves and a mixture of spices including green cardamom pods, cinnamom sticks, ground cloves, ginger and black peppercorns. I prefer to drink mine with the South African tea Rooibos. Check out my blog for my favourite spiced chai recipe.